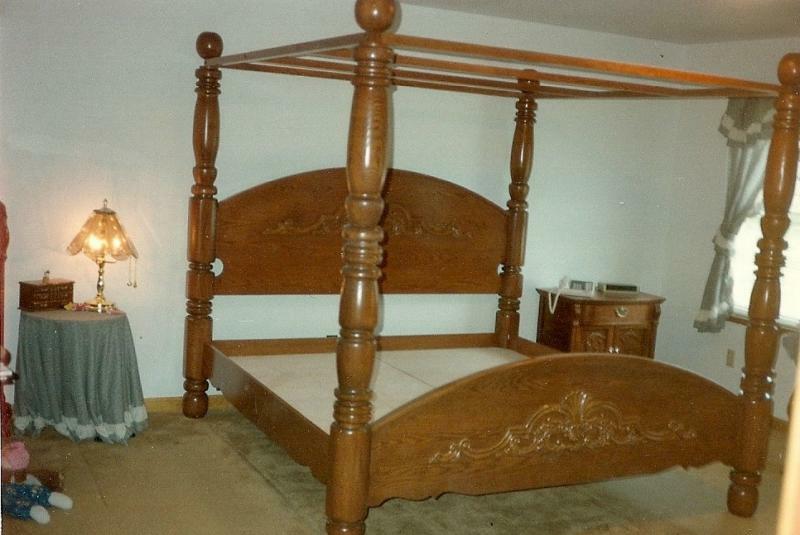 If you have a small room maybe there is another way to make things work. 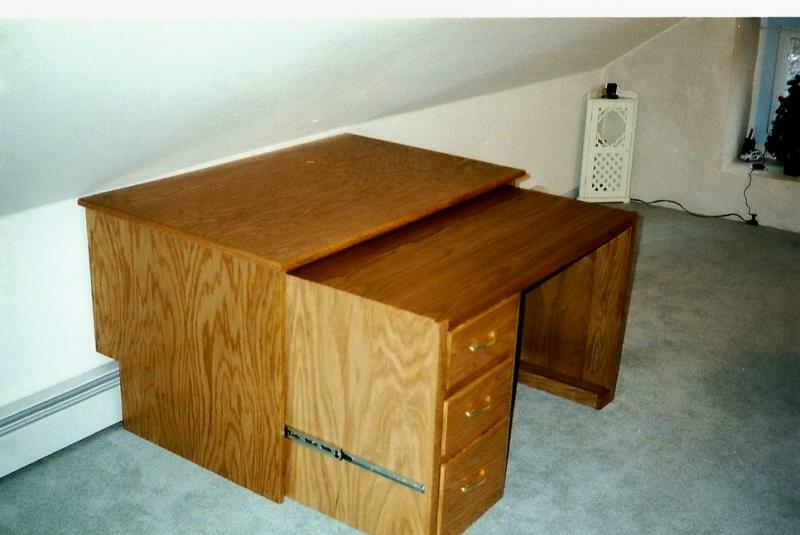 Here we made a shell around the desk allowing the desk to pull out in the room to make it usable with the low ceilings. 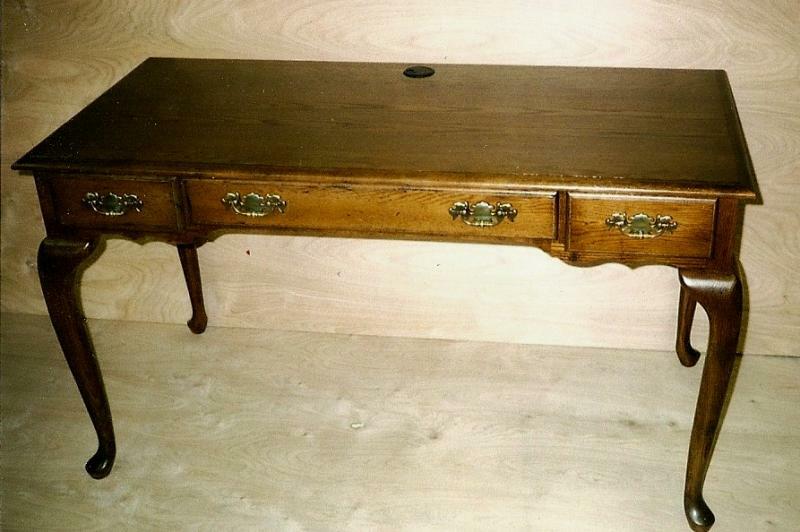 Looking for that special piece of furniture? Are you short of closet space? Let us design and build a unit that will work for you. Here we have hanging rods behind the mirror doors with drawers and added storage above the open display area. For a FREE estimate on any project you have give us a call for an in home consultation. Tired of looking at that old cast iron radiator? We will make a custom cover that hides it all, like we did in this Bally, PA home. 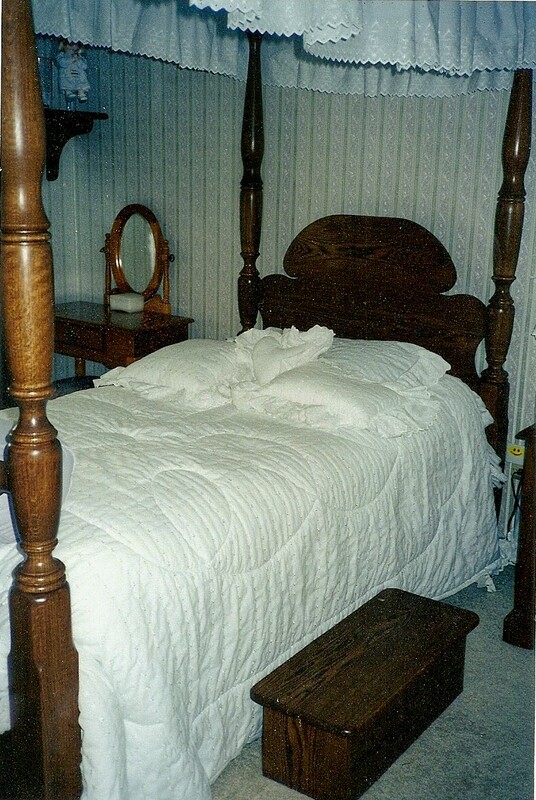 We made this canopy bed for a girl from Quakertown to sleep and grow up in. 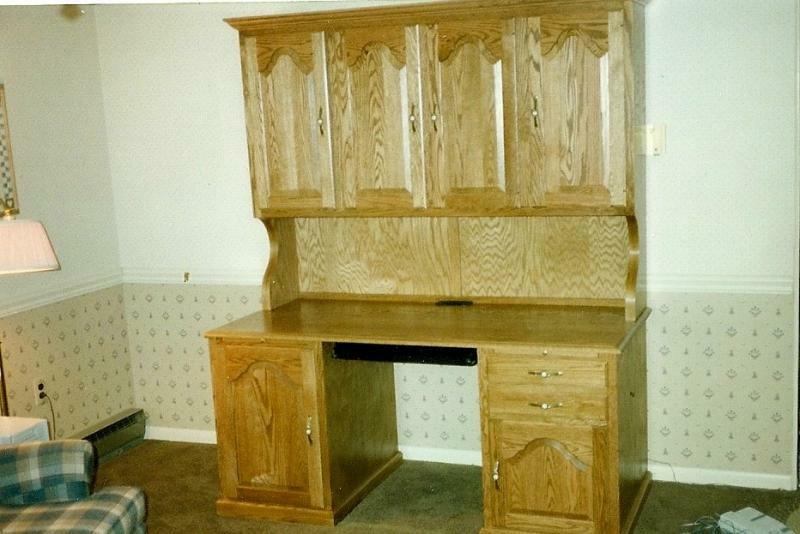 Here we have two completely different designs for a computer desk. Below is a hutch style cabinet inserted into a former doorway. This Warwick, PA laundry room cabinet was created per the customer's needs. It nicely organized their laundry room and provided extra pantry space.